Manchester United have agreed a fee with Everton for the transfer of striker Romelu Lukaku. Here, Press Association Sport looks at five things you might not know about the 24-year-old, who was also linked with a return to Chelsea. Like many Belgians, Lukaku is multilingual. He can speak Dutch, French, Spanish, Portuguese and English. Manchester United boss Jose Mourinho was once a translator at Barcelona and is a skilled linguist. Lukaku was the subject of a television documentary which, in 2009, showed him touring Stamford Bridge on a school trip to London. He declared his desire to play for Chelsea then. He fulfilled the dream, but left after telling Mourinho of his wish to play regularly following his penalty shootout miss in the 2013 European Super Cup loss to Bayern Munich. Lukaku, at 6ft 3in (1.90m), has an imposing physique. “I never lift weights. My physique? It is a gift from God,” Lukaku said in a 2011 interview. But a recent Instagram post saw him as the smaller man. He was with United’s Paul Pogba (1.91m) and Toronto Raptors NBA star Serge Ibaka (2.08m). Lukaku and Pogba went on holiday to Miami together in 2016 and to California this summer. Lukaku posted a video of the pair playing one-on-one basketball together, but did not say who won, last summer. That was prior to Pogba’s Â£89.3million world-record move to Manchester United from Juventus. Lukaku enjoys playing football even in his downtime. And he sparked controversy last month when playing five-a-side on a pitch adorned with Chelsea badges while on holiday in Los Angeles. “Its just a 5 a side game people! Some of you need to chill,” Lukaku wrote on Twitter. 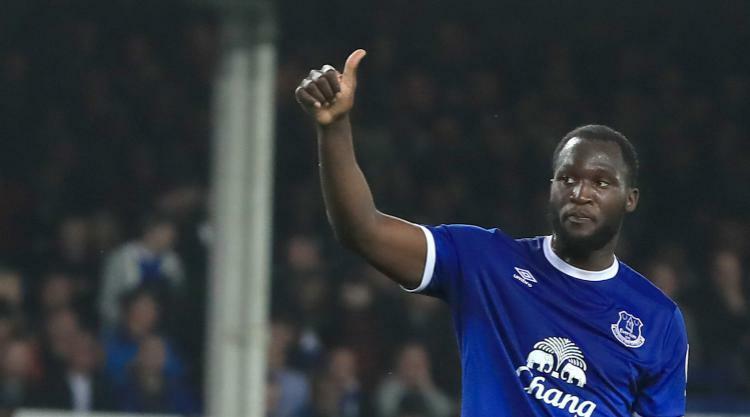 In February, Lukaku selected a Chelsea dominated fantasy Premier League five-a-side team: Thibaut Courtois, John Terry, Frank Lampard and Didier Drogba. Manchester City’s Vincent Kompany was the exception.